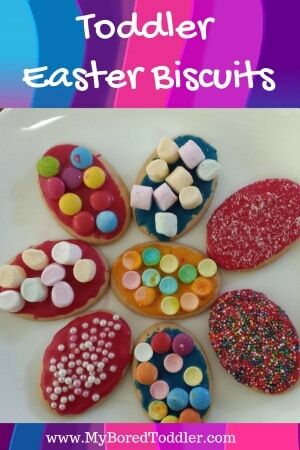 These toddler Easter biscuits are a fun activity for the Easter holiday, and are great to take to Kindy or Daycare if they are having an Easter party. While you could make your own biscuits to decorate, we went with the simple option of buying biscuits and decorating them ourselves. 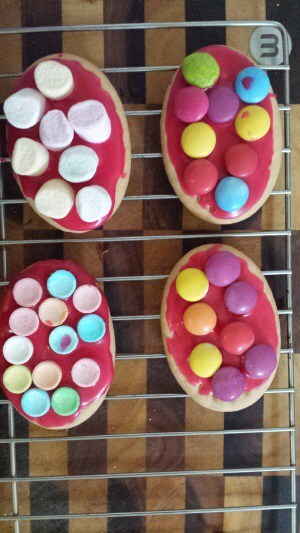 Mix the icing sugar with a small amount of water and a few drops of food coloring. 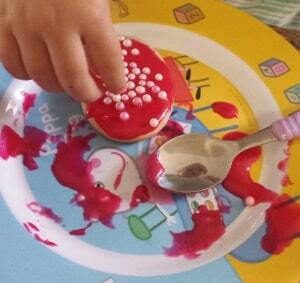 Ice the biscuits (I let my toddler use a spoon to do this – it’s messy but they have fun! This can always be an adult task if your prefer less mess). 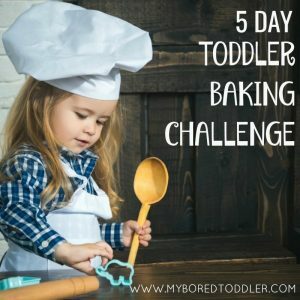 Let your toddler decorate the biscuits. 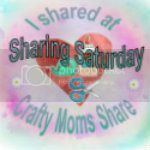 These look great in cellophane bags with ribbon, and can be given out as gifts. 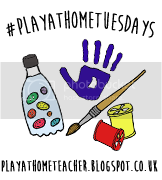 If you are looking for more toddler Easter activities you might like our simple Easter egg craft.